It's already exciting enough that Granada Hills Charter is representing our fair suburb as California's entrant to the National Academic Decathalon. 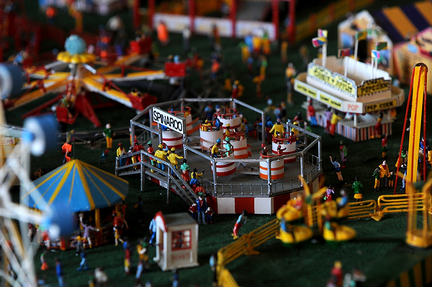 But to make things better, there's a CARNIVAL! Friday, 5-10pm, and Saturday and Sunday 1-10pm, carnies will ply their trade for your amusement at Petit Park, 16730 Chatsworth St.
Don't want to live on cotton candy and corn dogs alone? Food trucks No Jodas and Mossie Less Southern Cuisine are in town tonight at the usual bustling Old Town (Chatsworth east of Zelzah) Friday night food truck scene. I've heard unconfirmed rumors of trucks near the carnival too. Check Twitter. But wait, there's more: it's Granada Hills Garage Sale Weekend, courtesy of the Granada Hills North/Knollwood Page. 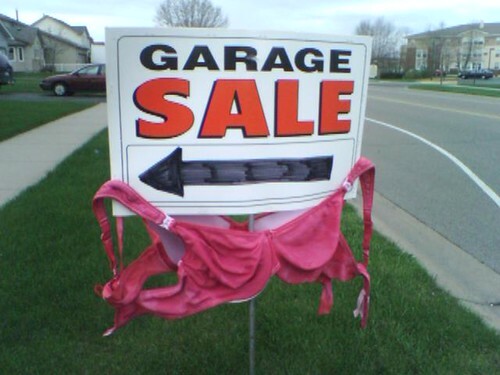 Residents are banding together to spring clean their closets, with group garage sales on Lasaine, Rinaldi, and other locations in town -- check Craigslist for more details. Finally, on Sunday, May 1, from 10am to 4pm in O'Melveny Park, North Valley Aikikai is hosting a Family Outdoor Survival Skills course where you can learning the basics about building a shelter, starting a fire and will practice other wilderness skills. Click here for details. Of course, if you're brave, you can also venture out of Granada Hills and hit the Los Angeles Times Festival of Books to see luminaries like Patton Oswalt, Dave Eggers, and Mo Willems hawk their tomes, which always promises to be a good time. But I've heard frightening things about the big city, so I recommend staying here in the GH and just burning some of the books you already have. You'll be much safer that way. I'm at Petit Park - no carnival! Yeah, I know, I'm gonna try to find out what the deal is. They had printed flyers for it that they put out months ago.